Does Sending More Email Help or Hurt Your Brand? Compared to other forms of digital marketing, sending another email campaign can be comparatively simple, and relatively low cost. But what is the impact of frequency and cadence of email sends on results, and on brand value. New research from IBM Watson Marketing uncovers the answer. Find out how to maximize your open rates, read rates, click-through rates, and more in this special Webinar. 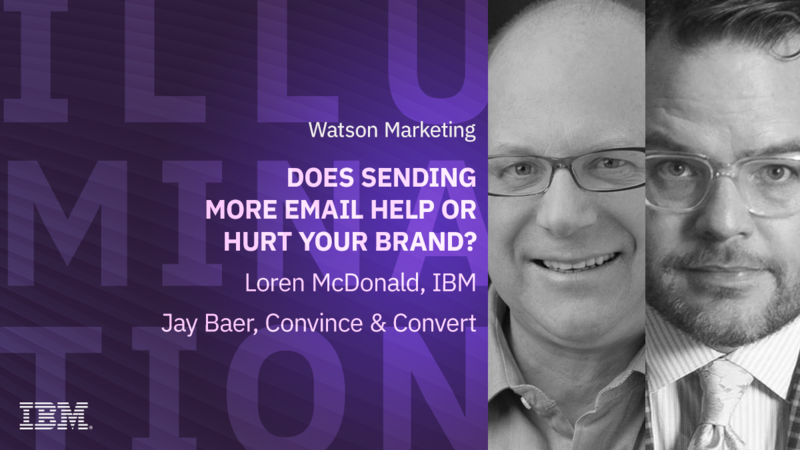 Jay Baer, founder of Convince & Convert and New York Times best-selling author will be joined by email expert Loren McDonald, from IBM Watson Marketing to discuss the key findings in the new report: 2018 Email and Mobile Marketing Metrics Benchmark.